Two German doctors and a nurse pose with two wounded prisoners in the operating room at Darmstadt. 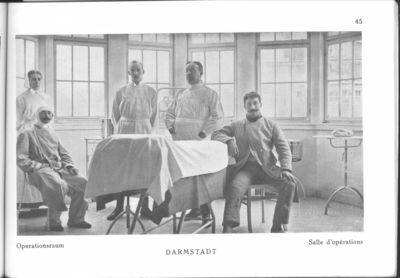 The Germans maintained a state-of-the-art operating facility in the hospital of this camp. Six Catholic Sisters served the Allied prisoners during their period of recuperation from wounds or illness.